Valerie and Alistair also authored a children’s book called Nobody’s Cats, which is how I learned about the rescue group. 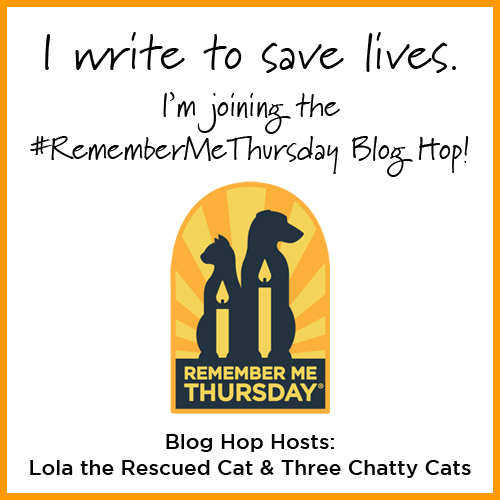 Fellow blogger Cori of Three Irish Cats wrote about the children’s book, and I promptly ordered it, finding it to be a great educational book that teaches children about trap-neuter-return (TNR) and the importance of caring for community cats. LAFS focuses on educating about animal care and compassion, and they work to make sustainable improvements in animal welfare in their community. 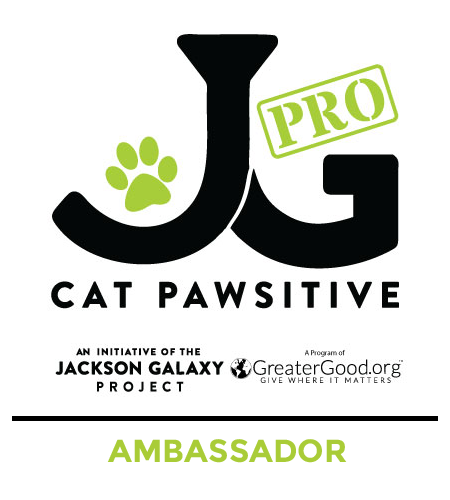 The group focuses on spaying and neutering animals from lower-income families, managing community cat colonies, and constructing/refurbishing insulated dog houses for cats and dogs in need. They also make sure the local food bank has a steady supply of dog and cat food available. LAFS has had so much success that the local students even got involved with a TNR project that involved spaying and neutering 400 community cats. The students also contributed artwork and helped write the ending of Valerie and Alistair’s first children’s book called Nobody’s Cats. 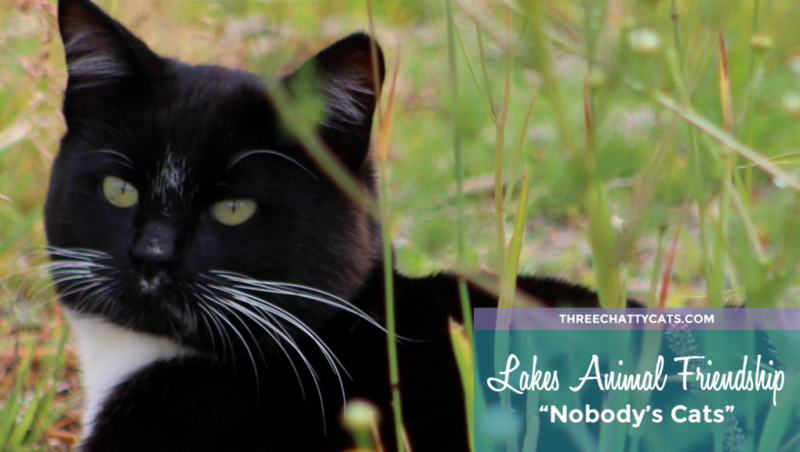 The children’s book Nobody’s Cats is based on the true story of two local students who contacted LAFS about a community cat colony. 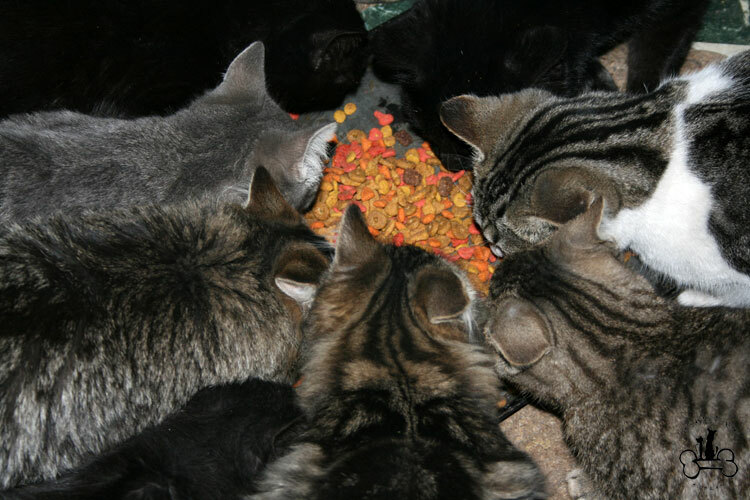 The students and their school raised funds, helped to feed the cats, and ultimately got the TNR project started. Thousands of copies of the book are in the hands of students, regional schools, libraries and animal welfare and humane education groups across North America and beyond. “This idea of empowering our kids and helping the health and happiness of our community and their animals continued through a large scale insulated dog and community cat house project,” notes Valerie. Now, classrooms and families build these houses for their furry family members. To date, they have built or refurbished nearly 300 houses for dogs and cats in need. The project further inspired an entire school (Babine Elementary School) to make dog and cat blankets from old, donated jeans. For their second children’s book, Out of the Cold, Valerie and Alistair incorporated the dog house project into it. While promoting the goal of all pets living indoors, the book recognizes that other options such as all-weather shelters are needed as well. Does Lakes Animal Friendship Society have a mission statement? We don’t have a formal mission statement. However, we operate all our programs with the principle that “healthy, happy animals are part of healthy, happy families and communities”. Many social issues are intertwined, and the needs of all components of the community must be considered. Animal welfare efforts contribute to moving the whole community forward. 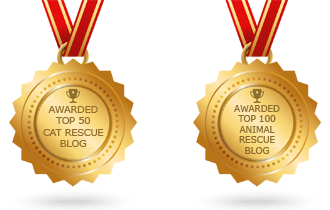 Do you work with other rescue groups? We do work with other local groups to help cats and dogs find homes. 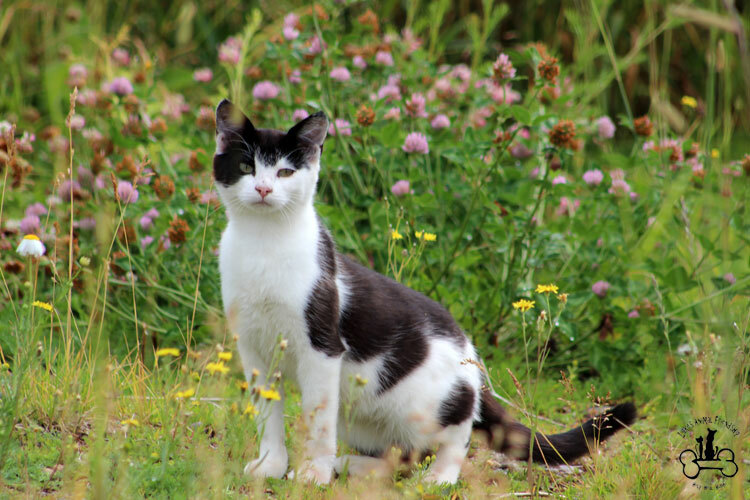 This includes feral cats, which we work to find “barn cat” type homes where their unique needs will be met and they can stay healthy and happy. 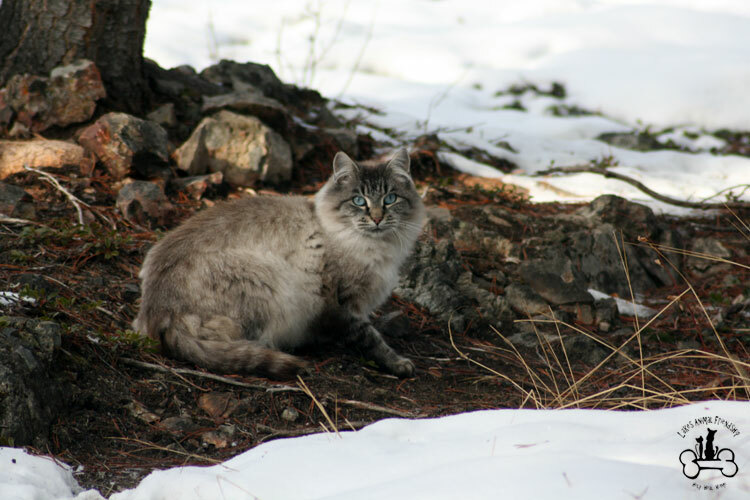 Most feral cats return to their colony as part of the TNR projects. What has been one of the most challenging aspects of what you do? The most challenging aspect we have faced are the people who are “not dog or cat lovers” and do not “get” why we pour our hearts, souls and resources into what we do. 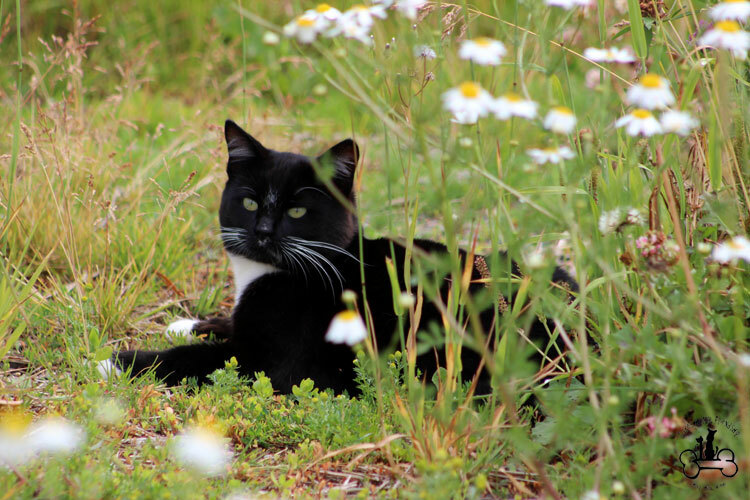 Especially the efforts made for the community cats, who are seen as on the fringe of any animal welfare efforts. We are firm in our conviction that healthy, happy animals are an important part of happy, healthy families and communities. Our book Nobody’s Cats is specifically about our efforts for the community cats. How some local children became aware of some suffering cats, learned of the special challenges facing community cats and went on a journey of educating their teachers, classmates and community. It’s about the change that is possible in attitude and behavior toward animals and empowering an entire community to care for these “nobody’s cats” to be seen as “our community’s cats”! What’s a fun fact you can share with us? Alistair and I are high school sweethearts, going on to 24 years of marriage. We are a team, and only a fraction of the LAFS projects and goals would be met by one without the other. We share the dream of building a community of care – one animal, one student, one family at a time! I am giving away to two lucky readers a copy of one of Valerie and Alistair’s books. One winner will receive Nobody’s Cats and another winner will receive a copy of Out of the Cold. These books are educational and great for young readers to learn about compassion and caring for animals. If you’d like to purchase one of the books instead of entering the giveaway, all proceeds support their education and spay/neuter programs, including TNR programs for community cats. Visit lakesanimalfriendship.ca for more information on purchasing copies. Discounts are available for animal welfare organizations. The giveaway is open to U.S. residents, 18+ years of age, except where prohibited by law. If you live outside of the U.S. and would like to enter, and should you win, you can choose to send your item to a friend or rescue/shelter in the United States. Two winners will be selected randomly by Rafflecopter and contacted via email. The winners will each have 48 hours to claim their prize. Failure to do so will result in forfeiture of the prize, and a new winner will be randomly selected by Rafflecopter. The giveaway closes on Monday, February 13, 2017 at noon Pacific. A big thank you to Valerie for sharing with us about Lakes Animal Friendship Society. The work that Valerie and Alistair are doing in the community and with schools is so inspiring! Be sure to follow LAFS on Facebook to keep up with their community projects. You may not see an ear tip in some of these pictures, as some were taken before they were able to TNR certain cats. 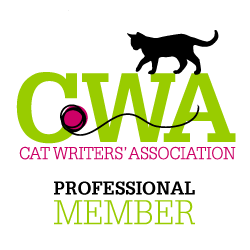 Follow Three Chatty Cats on Facebook, Instagram, Twitter and Pinterest. Kudos to Valerie and all that she does! I love that a school helped feral cats, that is unheard of in the U.S. I would love to win Nobody’s Cats for my great niece. I am glad someone is working with youth to help teach compassion and help homeless pets. What a fantastic post! Training our kids to spay, neuter and protect is definitely the way to go, plus offering low-cost programs. Bravo Valerie!We totally agree that education is on big key! thank you for sharing – we love learning about groups like this. education is so important – in fact mom educated one her neighbors just last night about our feral girl Allie and what her ear tips means. we may have to get one of the cat books for our rescue. Education makes the world of difference. Wow. Education truly is the best solution … from people who don’t understand the needs of their pets (that cats and dogs really shouldn’t be outside all the time) to learning compassion for all forms of life to dealing with ferals who are often considered nuisances … so many people just don’t have the information they need. I’ve had cats for years and I still regularly learn things I should do better and I’ve gone out of my way to learn about cats and proper care! Thanks for telling us about LAFS. 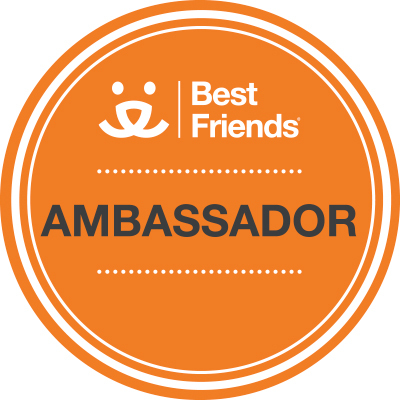 We love what they are doing to help educate about animals and how we can help them. What an inspiring story. I’d like the cat book to share at PAWS. We have a reading to rescue program where children come into the shelter – it would be a perfect book to read to cats! I would love to win Nobody’s Cats! I’ve seen it before and was struck by the beautiful cover. Thank you for telling us about the wonderful work Valerie is doing! I would like to win Nobody’s Cats. Brilliant! Education *is* the answer! What amazing work they’re doing. What a great post! Paws up for Valerie and all the amazing work she does! Education is so important and those books look great! I love the idea of including the school children. Teaches them compassion at an early age and includes them in helping these cats. I would love the opportunity to read these books. 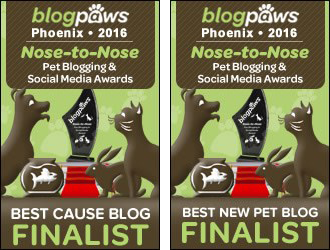 I love that Valerie and Alistair wrote books to help raise awareness about these cats and dogs. As always, your post is incredible. Thank you for sharing information about this organization along with their cause and the books they’ve created. I always find hope when I hear about organizations like this. The books sound great! I’ve entered the giveaway. Our local shelter has a reading program for children so they can practice their reading skills and confidence while reading to dogs and cats. If we win, we’ll donate the book to the program so they have a new book to read! Love it! For a long time they were called ferals, then a friend of mine who was involved in TNR in Toronto told me they were being called community cats so people would start to see their care as everyone’s responsibility. I think it’s a fabulous idea. It’s so important to teach children compassion for other living beings, so creating a children’s book to help spread that message is amazing, as are the people involved in TNR. What a great organization. Working with kids is the best way to build future generations that understand the importance of caring for our furry friends. My friend, a veterinarian in CA, does a lot of TNR work. I don’t think people realize how prolific cats can be. Oh, I like Valerie and Alistair’s books! I’ve passed copies on to local animal welfare groups. I’ve also reviewed the books and interviewed the couple on my blog. I’m in awe of their work! Any community cat project that is done by a small group is done with the most committed love and care – these two are a magnificent example! I would be happy to win either book. I love that they focus on community cats so often they get forgotten even in the shelter world. Education starts with the young! They’re doing wonderful work and I hope their books continue to educate the next generation. Both of these books look great! If I win, I would donate the book to a favorite teacher. I remember when my kids were little they would share things that they learned at school, and taught me some things. What an amazing program! Compassion starts with the young. We need this in every community. I’ll be little Violet would love the little cat book. What a wonderful organization! It’s so important to educate the community, especially kids. They are the ones who hold the future in their hands. They are doing great work. Oh my gosh – you have a fan in me! I fully believe that empathy is what’s needed to right size the issues with animals. And children are our gateway – so lets reach them through books! This is what we attempted to do with our MattieDog book. Your article resonates with me in such a wonderful way – and I will definitely check out these books!! While I love the story about working with feral cats, the title ‘Nobody’s Cats’ breaks my heart. Also, tell anyone who doesn’t understand what Gandhi said, “A society should be judge by how it treats it’s weakest members.” What’s more vulnerable than nobody’s cats? Wonderful! I had not heard of t hem before and am so glad to learn about Valerie and this organization.I’m all about education, and this is so wonderful how they help to educate the community, and especially kids who are our future, about things such as this. The black & white kitty in that last photo looks just like our adopted tuxedo feral cat, Binx! I loved learning the endearing fact that Alister and Valerie were high school sweethearts, too! Either book would be wonderful, but Out of the Cold would be my top pick. Thank you for sharing this organization with us! Thank you for sharing this post about such a wonderful initiative! The books look great. I’m so glad to hear that the children are advocating for the cats. I love to hear about out of the box ways that people are helping animals in need. It does my heart such good and makes me restore my faith in people. Kids advocating for cats, too = that is a win win! LIly here from The Tribe of Five. My purrsonal assistant read this post to me and I loved it. I was adopted from the shelter and my Momma is known by the people there as being a little “kitten factory”. There are some wonderful humans here who do the Trap-Neuter-Release program and now Momma is being fed and taken care of and doesn’t produce kittens any more. The female human loved this article too! Another wonderful and informative post – thank you. I firmly believe that education is the key to better treatment of animals, we have to start with our kids. These look like great books! Wow, that’s really inspiring and wonderful. Thank you for sharing about Lakes Animal Friendship Society. We are so grateful for folks like Valerie and Alistair. 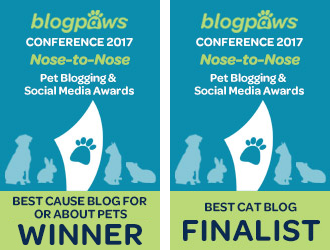 Hi Chatty Cats, what a great post, we thoroughly enjoyed reading it today and think the idea behind the books is tres fabulous! Thanks for sharing about a great group! !